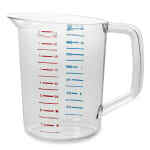 The Rubbermaid FG321700CLR measuring cup has a 2-quart capacity to hold dry or liquid ingredients. Two sets of measurement markings—red for imperial and blue for metric—help users accurately follow recipes. It has a handle for transport and is constructed of break-resistant, clear polycarbonate to protect against dropping. The Rubbermaid FG321700CLR measuring cup can be used in temperatures ranging from -40 to 212 degrees Fahrenheit, and it is dishwasher safe to simplify cleaning. Overall dimensions: 5.906 in. x 7.481 in. Not sure a plastic measuring cup is what you need? 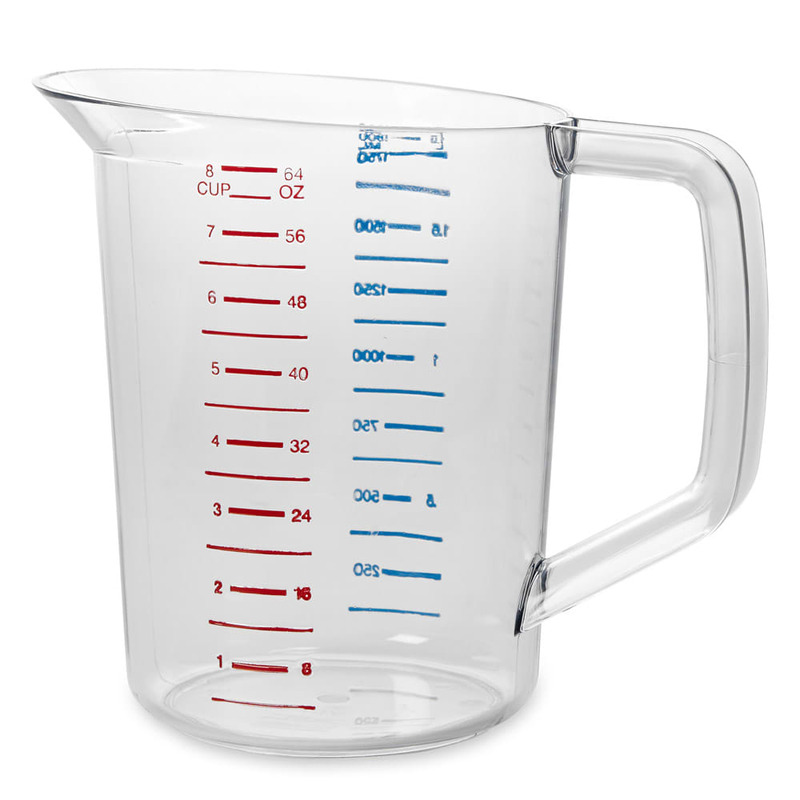 You can learn more about different kinds available in the guide to measuring cup materials.